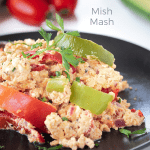 Mish Mash is a version of scrambled eggs with peppers and cheese that is typical of a Bulgarian culinary tradition and is served in pretty much every restaurant. It’s a vegetarian and gluten-free recipe perfect for a Healthy Meal Plan. It has been two and a half months since I officially moved to Bulgaria, a country I had never even considered for my travels. But life is full of surprises. It’s nice to be open to changes because they always bring something beautiful. 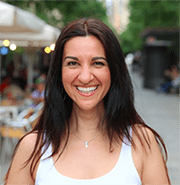 As a tribute to my nice welcome into this country, I have decided to add this simple and typical recipe of a Bulgarian culinary tradition to the blog. It’s perfect for a healthy breakfast or brunch. And if you have never been to this area, I recommend that you organize a visit very soon. I’m sure you’re gonna love it here. In a pan, fry the onion with the tomato and peppers. In a bowl, whisk the eggs, add the cheese and pour everything into the pan. 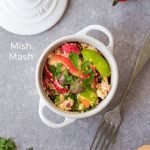 Once the egg is well done, the Mish Mash is ready to serve. 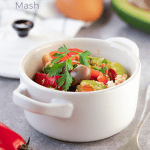 Although the original version of Mish Mash doesn’t include any spices or herbs, I wanted to add a little personal touch to the traditional recipe so I chose to add some Provençal herbs that are my favorites. As you might already know, one of the reasons why I usually consider a recipe healthy is due to the ingredients used to prepare it. In the post I have written for the recipe of Mojo Picon, I’ve already written about the good properties of red peppers. In general, red peppers have more polyphenols than green peppers, but of course, I don’t think that would be a good excuse to avoid green peppers, right? 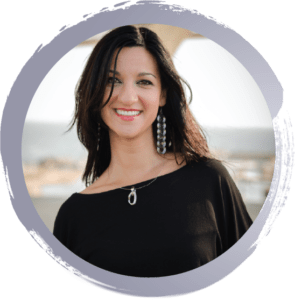 In the Mirza Ghasemi’s post, I tell you about all of the wonders of eggs and I explain why we should not be afraid of the fat or cholesterol they contain. In the recipe for Coffee Oatmeal, I tell you about yogurts and kefir. My point of view is the same, even when we talk about cheeses. The most typical cheese in Bulgaria is similar to feta cheese. They have the version with cow’s milk and the version with goat’s milk. As you already know, I like to change flavors and ingredients. Do not worry though, if you don’t have access to Bulgarian cheese; for this recipe, you can use feta cheese instead. By the way, do not ever tell a Bulgarian that their cheese is like feta cheese. They are very proud of their traditional cheeses and that could offend them. 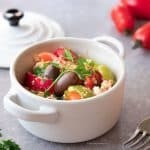 Is it inexpensive to prepare Bulgarian Mish Mash? As it happens in most culinary traditions, this recipe has become traditional because it’s easy to find the needed ingredients and, in addition, their price is usually affordable. As one of the main ingredients of this recipe are eggs, it makes a good option for an original brunch recipe. Also, if you are one of those who eats eggs for breakfast, this might be a new idea to add to your list. This recipe, moreover, travels well. You can, for example, put it in an airtight container to take it to work and it’s a perfect option to take to a vegetarian barbecue. Is it possible to store Mish Mash? If you have leftovers, you can store them in the fridge in an airtight glass container and it’ll keep it fresh for two or three days. 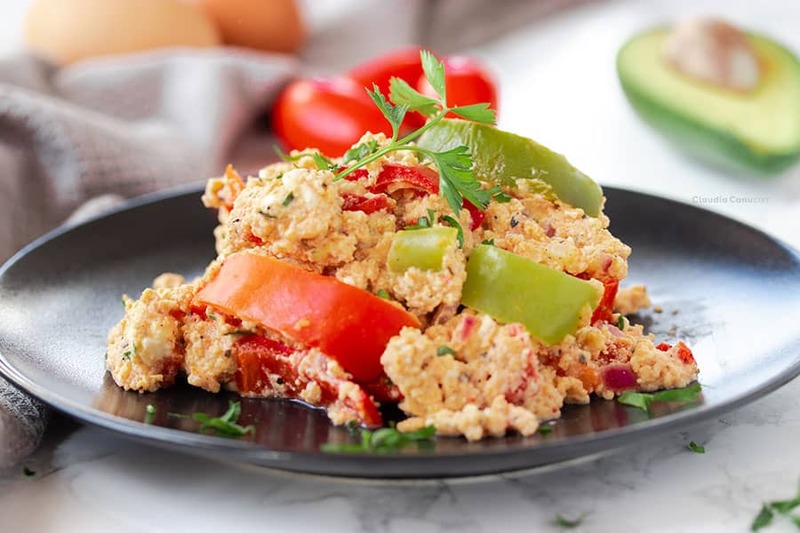 If you’d like to eat it for breakfast, this recipe easily makes two or three breakfasts and you can heat it in the microwave. You can prepare it in an evening and it’ll save you some time for the next few mornings. 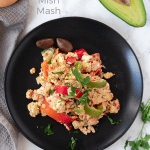 Can I prepare Mish Mash with other ingredients? 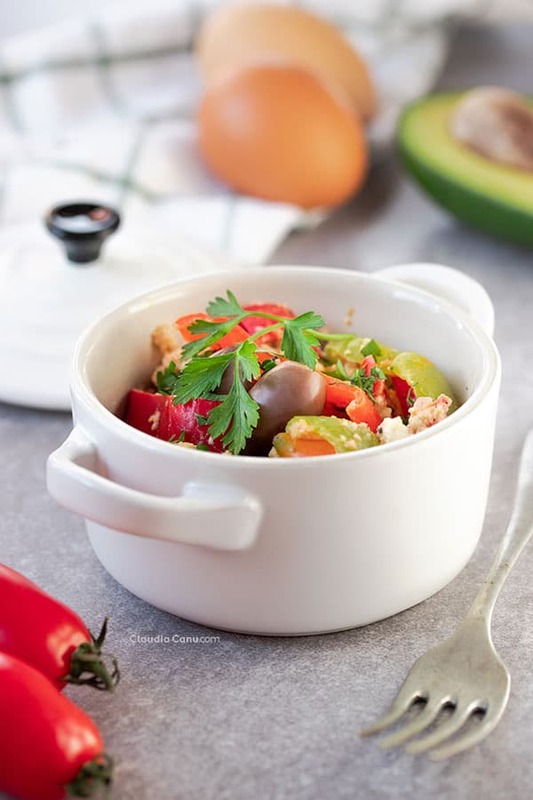 This recipe could go well with many other ingredients, but if we change the main ingredients, it would no longer be the authentic Mish Mash, typical of Bulgaria. If you like aubergines, however, I’d like to invite you to read the Mirza Ghasemi’s post. It’s also a recipe with eggs, but it originates from Iran. In my personal version, I’ve decided to add the egg on top, but the original version has the eggs mixed with the eggplants. 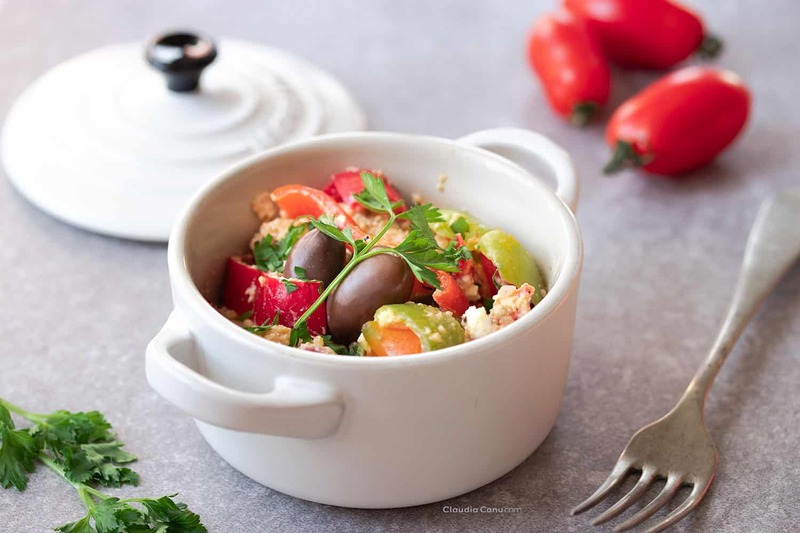 1 tablespoon of Extra Virgin Olive Oil 1 onion 1 large tomato 2 small red peppers 2 small green peppers 5 small eggs 200 grams of Bulgarian cheese (or feta) 1 pinch of salt 1 teaspoon Provençal herbs ½ teaspoon ground black pepper Parsley to decorate. Cut the peppers in half and in strips. Cut the tomato into small pieces, but remove the seeds first. In a bowl, whisk the eggs with the salt, and add the 200 gr of cheese. Chop the onion into medium/small pieces. When the onion is golden, add the tomato and let it cook for a couple of minutes. Add the peppers, stir, then cover the pan and wait for the peppers to cook for about 5 minutes. Add the eggs and cheese and stir. Add the 1 teaspoon of Provençal herbs and the ½ teaspoon of ground black pepper. Stir until the egg is cooked. Yum! This looks like a perfectly breakfast or brunch! It seems that ever culture has a version of Mish Mash! I’m from German decent, so we always add spaetzle! Have to have those carbs. 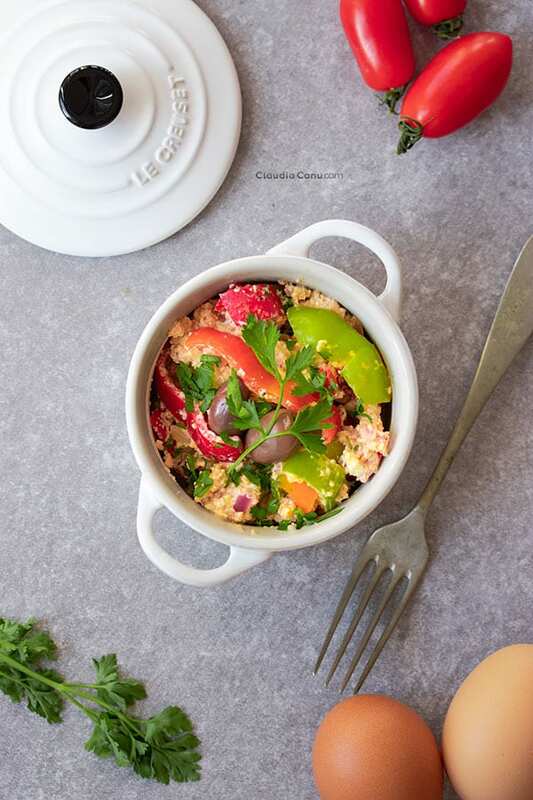 It is indeed the perfect breakfast or brunch and it’s so interesting to discover recipes from different cultures! I totally want to try Bulgarnian cheese! This recipe look so tasty. Love the International flare! I’ve never heard of this but it looks like something I would enjoy, and easy to make too. Looks good! We love eggs in my family! I am not sure if all vegetarians eat eggs but if they do this is perfect! I love the idea of using feta cheese instead. I have been to Bulgaria and really liked it. We had some good food there but I don’t think I tried mish-mash! This would be great for a Sunday breakfast or brunch! 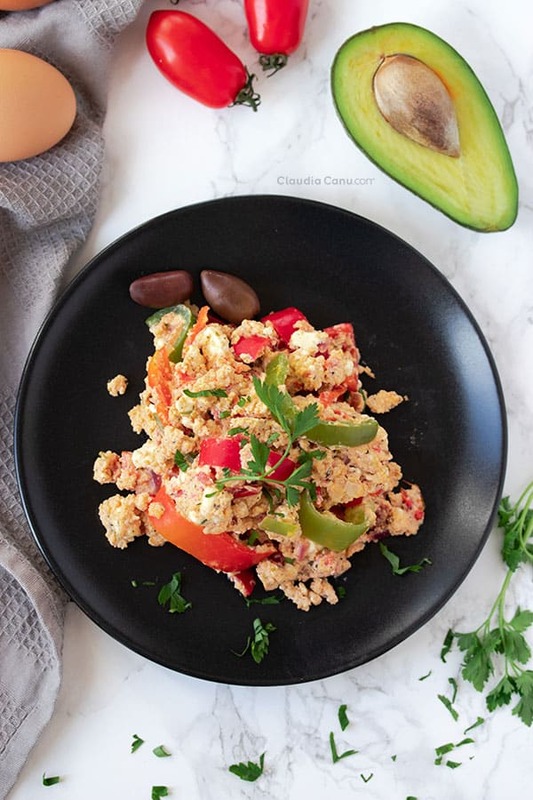 I’m glad you liked Bulgaria and you can easily make this recipe at home to remind you of that holiday 🙂 It is indeed perfect for breakfast or brunch! Thank you, Corina! I hope you’ll get the chance to visit Bulgaria. I’ve recently moved there and I can’t wait to explore the country!